I just found Joseph Campbell! 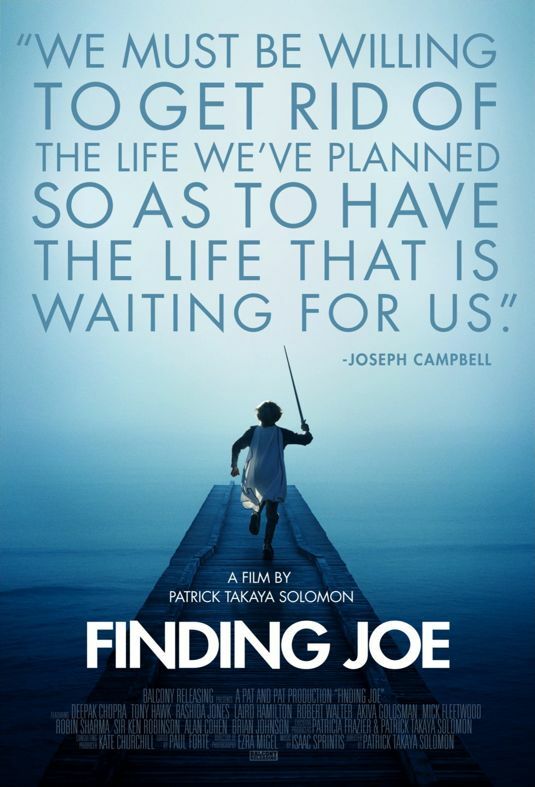 The film is called “Finding Joe” a new and refreshing movie by Patrick Takaya Solomon. Already the recipient of the Visionary Award, Finding Joe is a unique and masterful journey into the teachings of Joseph Campbell. Joseph Campbell, a true visionary and philosopher, has always been a huge influence on my journey to self-discovery. Much of what I write in blogs and books transcends Campbell’s unadulterated wisdom. Much like Campbell’s message the film makes a parallel of the “Hero’s Journey” through stories of ancient mythology and even the modern movies we see in the theater today. Campbell was successful in connecting parallels in visual media and ancient lore that resonate with the struggles and toil each of us face today. Interwoven into this wonderful journey are familiar faces like Deepak Chopra, Mick Fleetwood and sport legends like Tony Hawk and big wave surfer Laird Hamilton. If you have ever watched the Bill Moyer’s interviews with Campbell (The Power of Myth) then you know how cerebral his message is. Patrick Takaya Solomon takes this message and playfully and skillfully makes it more palatable for the average Joe like me. We learn that there are many stories in life, some good and some bad; yet in actuality there is only one story – the meaning for this existence – this thing we call life. A question arises: how do we fit into this story; this hero’s journey? Under the static of ego, materialism and money there is this other world. The myths of the past and stories of the future teach us to go beyond the limits of possibility. When we wake up to the fact we are the hero in this story of life magical things happen. There are really two stories within this film. There is the wisdom and energy of Joseph Campbell which Patrick Takaya Solomon successfully brings to illumination. And then there is our place in this journey; this story of life. This film adeptly sheds warm light on a new path; a path of self-discovery. We find that we are really not that different from each other. We find that we all struggle and are faced with challenges. We see the heroic stories of past and present and then this incredible realization takes hold: When we look in the mirror we do not just see a reflection of ourselves, we see a hero looking back at us. Yes, this new and inspiring film is about finding Joe, but it is also about finding you!